This may just save your life! If you don’t know CPR, at least you’ll know some magic. If you can’t save someone else’s life, you can save your own. The Big Box of Magic - this may just save your life! The Big Box includes 25 tricks, including an instructional DVD and all the stuff like cards, cups, handkerchiefs, cups and more to perform them! Never has magic been so attainable. As its spokesman, Daddio Sugar says, "1st impressions are overrated - leave a lasting one!" 25 tricks right out of the box with a DVD instructional video + 36 more tricks using the props from the box on our YouTube channel for a total of 61 mind-boggling tricks! 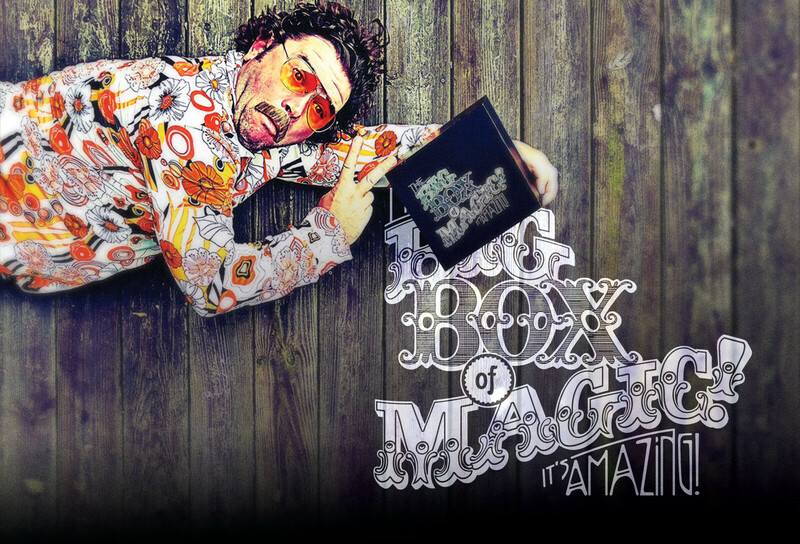 "Hmmm, a BIG beautiful box of mind-boggling magic tricks and hilarious anecdotes... I think I'll pass." Get the Big Box Of Magic "KICKSTARTER" edition, while supplies last!